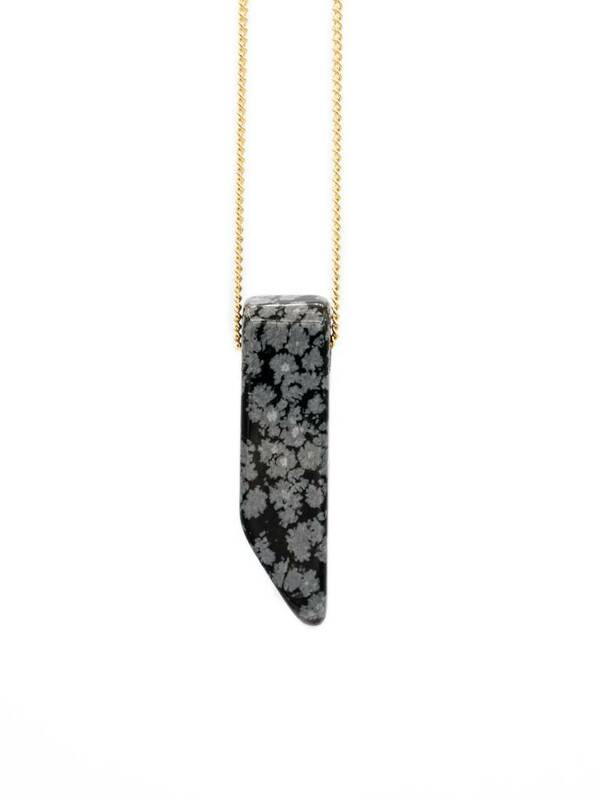 Home » Mana Made Obsidian Stone Necklace | 28"
Mana Made Obsidian Stone Necklace | 28"
Necklace length is long (available in 28, 32, and 34, inches) but can be customized to any length. Looks great on its own for a minimalistic look or layered with a shorter necklace. Atones are hand cut and shaped, making each unique in size, color (hues of blue/green are different in each piece), and shape (most are a slightly asymmetrical rectangular shape and some have an angular more asymmetrical bottom edge as pictured). The stone is porous in nature giving them a rustic and earthly feel (they are not perfectly smooth). Stones are all sourced locally and handmade in Brooklyn, NY.